Having a two-year-old in the house means we spend a fair amount of time watching kids cartoons. Most of our favorites are on PBS Kids. Sesame Street and Elmo still rule in our house. While watching, I’ve recently noticed a few segments that are clearly influenced by mindfulness and mindful breathing. Lovable characters demonstrating belly breathing is a great way to introduce mindfulness practice to young kids. The segments usually show abdominal breathing as a way to calm down. I started doing this with Lola when she was around one-and-a-half. I talk and demonstrate breathing to her by putting my hand on my belly and taking 2 slow deep breaths in and out. It really helps during those meltdown moments to be able to look into her eyes and just breathe with her to help her calm down. She gets excited when these episodes pop up and her hands go right to her belly. I love that even at an early age kids can learn to identify when they’re in stress and use mindful breathing to calm themselves down. I wrote down each segment so that I could share these helpful resources here. This is a great episode and one of my favorite funny ladies, Tina Fey is the “celebrity guest”, portraying Mother Goose. In this episode Mother Goose learns to stay calm by breathing to figure out how to finish her nursery rhymes. Unfortunately this one isn’t available as a free video since its part of the most recent season. This is a music performance featuring Common,Colbie Caillat, and Elmo. They sing about how to breathe through your belly and the different emotions we all have and how “belly breathing” can help us calm down. A song by Teacher Susie. (I always love her songs.) She sings about how kids can calm down at the end of the day through regular abdominal breathing. This one would be great for bedtime. Her voice and the music is very soothing. This video is so great. To be able to see kids explaining their emotions and how mindful breathing helps them calm down could be very relatable to another young child. It also shows a good example of a calm down jar. This video was filmed at a local school in LA where mindfulness and meditation is part of the regular curriculum. I love this show. It does a great job of demonstrating and getting kids to talk about their emotions. In this episode when Daniel and then Katerina get upset they learn to take a deep breath and count to four and then decide what to do next. This video has recently moved to the pay system on YouTube. In this episode Daniel goes on two outings where it’s important to be calm and quiet. He learns a method of self-compassionate calming, by giving himself a hug, breathing slowly, and then letting go. This video has recently moved to the pay system on YouTube. These six mindfulness videos for young kids are great resources to save to your video library when teaching mindfulness to children. Watch them at a time of relaxation and comfort, well ahead of any melt-down moments. What a fun way for kids to learn about breathing to help calm themselves in times of anger, frustration or transition. Young kids will get the most out of the videos if they can talk about them after watching. Be open to their questions and mindfully listen to what they have to say. While the videos are helpful in teaching mindfulness to young kids, what is most helpful is adults who: 1) are open to working through the wide variety of feelings we can all have at any time, and 2) can demonstrate their own practices for emotional self-regulation during stressful situations. 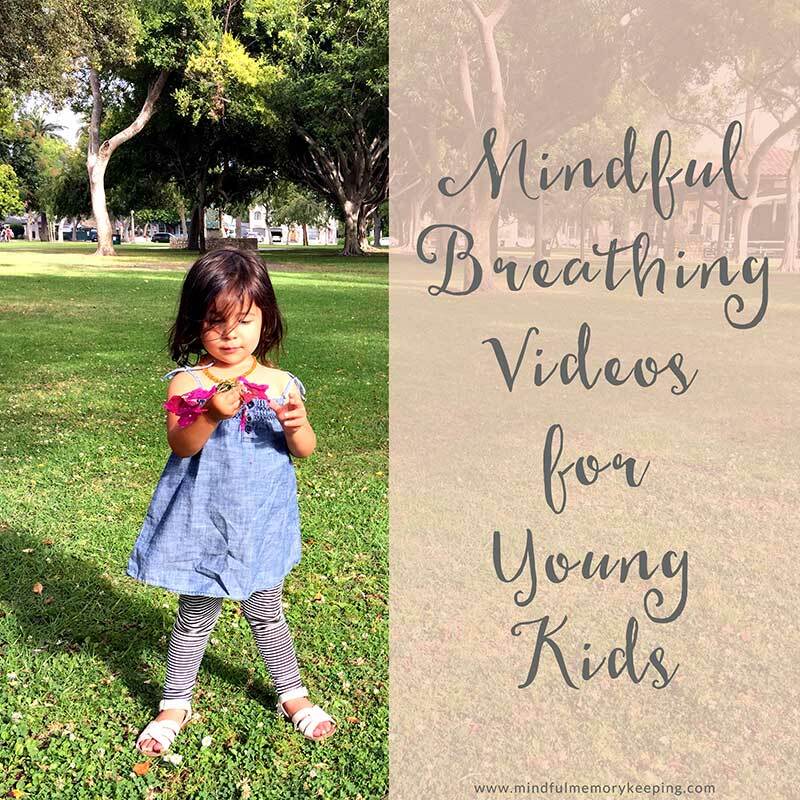 These mindfulness videos for young kids can help if you’re interested in new ways to help calm your kids and can help the children in your life experience their emotions in a more mindful way! As always I am grateful for you. Thank you for spending a moment with me today. Do you have any go-to techniques for calming children? Have you ever tried mindfulness practices with kids? I’d love to hear about your experience in the comments. This is awesome, I am pinning it! On a side note, I noticed your comment on my mindfulness article – but it got put into a weird file and I couldn’t get it out. I have been checking your website periodically, I love it. Wow!! Isn’t it great that mindfulness is becoming more and more mainstream?!? I actually talked about it as well in my post this week about prenatal bonding. Thank you so much for gathering some useful videos together in one place! Dd is only 11 months, but I imagine I’ll be using this post as a resource very soon. Definitely saving it!! It is great that is becoming more mainstream. I’m really excited to introduce kids to the practice at a young age. I really think it is one of those things that could change the world. Love your post. I think mindfulness during pregnancy is such a great idea and would have really helped me through my two pregnancies. I’m so glad this post could be helpful to you. Thank you for reading and saving Marissa! Marina, I just LOVE this post! 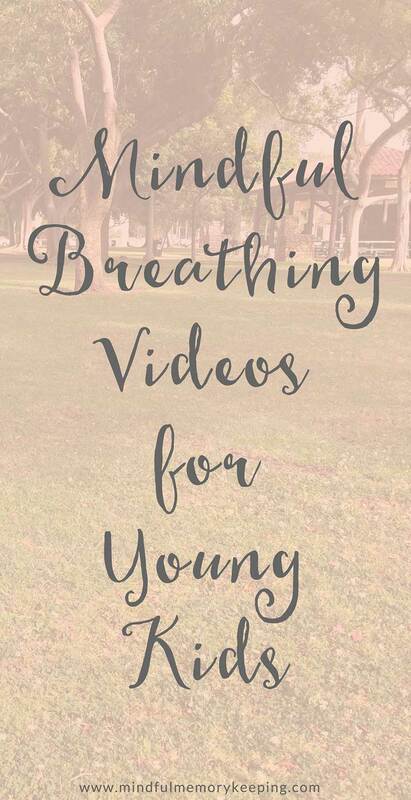 Especially the “Just Breathe” video… thanks for sharing that! I am so glad that mindfulness is becoming more recognized by society and is no longer viewed (for the most part) as some hippy-dippy thing. These are wonderful resources to have handy for children. I use breathing exercises early and often with my kindergarten students in a variety of situations. We use a “butterfly approach.” Palms up we lift our hands slowly as we breath in through our noses. We our hands reach the tops of our heads we turn them over and wait for a count of 5, and then exhale slowly as we bring our hands down. Repeat 3 times and calmly move into the next activity. I modified this from a yoga exercise I learned years ago when I wanted something effective for youngsters. They enjoy it and it helps in a variety of situations. I’ve never had actual videos or other resource material to back me up though! Now I see a series of whole lessons to teach mindful breathing in a variety of styles. Thank you so much! I have never heard of the butterfly approach but I really love that idea. I will definitely make a note of this technique. Thank you so much for stopping by! Here’s one of my kindergarten students’ favorites! You have to pay for these and one was not available. Thanks for your comment! Yes unfortunately since the original post many of these videos have moved to paid content or become unavailable. I hope to do an update to this post since it is very popular. Thank you again for reading!